Siya Events & Catering, Delhi has 17 years of experience which is good enough for the best hospitality company. They on special occasions have a strong back up for catering 50 to 1500 guests with all the cuisine which comes to your mind. Siya Events & Catering, Delhi takes care of all the arrangements to make your event a grand success. Club Essel Tower, Essel Tower, MG Road, Gurugram. 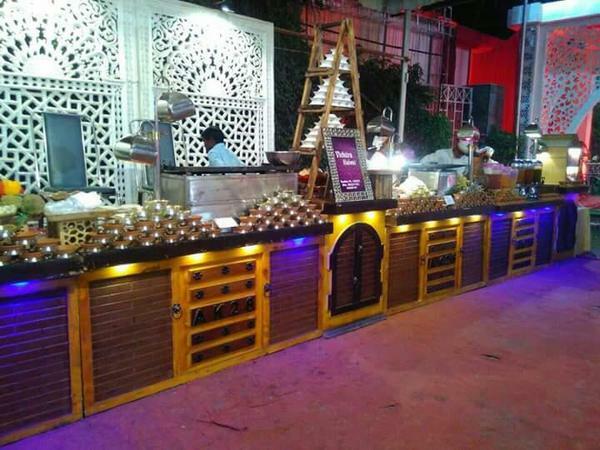 Siya Events & Catering is a caterer based out of M.G Road, Delhi . Siya Events & Catering's telephone number is 76-66-77-88-99, address is Club Essel Tower, Essel Tower, MG Road, Gurugram.. In terms of pricing Siya Events & Catering offers various packages starting at Rs 599/-. There are 0 albums here at Weddingz -- suggest you have a look. Call weddingz.in to book Siya Events & Catering at guaranteed prices and with peace of mind.